Instagram Stories, Facebook’s answer to Snapchat, allows users to collate video and pictures into interesting slideshows and then enhance them using text, emojis, and graphics. When it was launched in 2016, Instagram Stories became instantly popular, garnering 100 million daily users within just two months. Today its daily user base is 400 million. The WhatsApp’s version of Stories, called Status, has about 450 million daily users. Stories are now among the most dominant ways people share online content. Google has also given a thumbs up to Stories and announced in September 2018 that it would be using artificial intelligence to make its own Stories, which will then appear in Google search and image results. How Do Brands Use Stories? Users under the age of 25 spend about 33 minutes a day on Instagram. Over a third of Instagram users watch Stories every day. Brands realized quickly that these are great numbers. 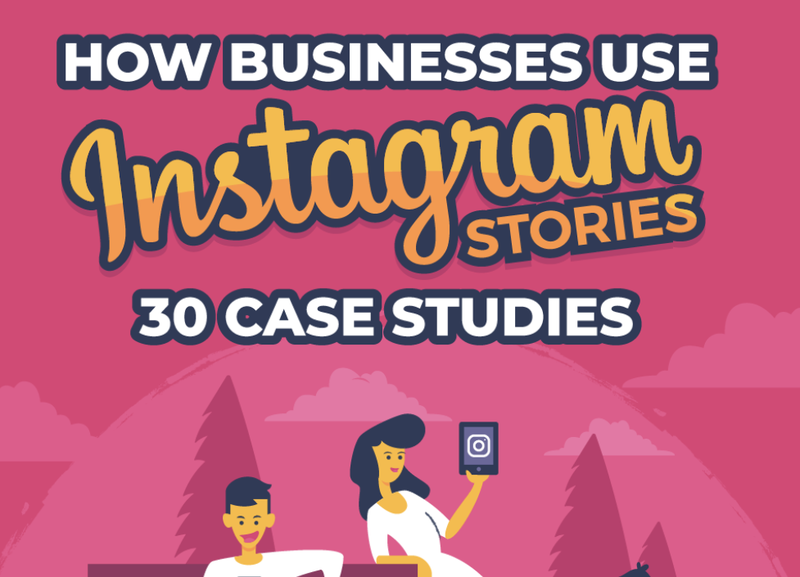 It’s no surprise then that 50% of businesses on Instagram have already made an Instagram Story. Brands are harnessing the popularity of Stories to promote their products and services and creatively engage with users. Stories create a personal connection with users because of its instant nature. Between 20-25% of Instagram, Story viewers swipe up to follow a link and engage directly with a brand’s website. By using playful, animated videos in Instagram Stories, McDonald’s Malaysia was able to increase its sales three times and reach 60% of its targeted users. Mercedes-Benz Cars UK collaborated with Facebook Creative Shop to create a campaign for its Stories. This led to a reach of 2.6 million and a 9-point increase in ad recall. Airbnb has used Instagram Stories to ask users to identify destinations through the poll feature, a novel way to raise brand awareness. Stories can be used to share behind-the-scenes news from your company along with announcing new products and services. Product promotion, influencer takeovers, and live events are among the type of Stories promoted by brands. Want to get more such fascinating insights into Instagram Stories? Check out this terrific infographic below.